Much has been written about Sagada and its natural wonders that attract trekkers, spelunkers and other adventurous spirits. But to the foodie, Sagada is more than that. there’s another side to this so-called Shangri-la of the north, a more flavorful one that will appeal to the adventurous foodie. We traveled over 400 kilometers to food trip there and there’s something about the highlands – its nippy, crisp clean air, peace and quiet, and of course, the awesome scenery – that makes eating so much more enjoyable. It could also be the elevation that takes eating to a new high. 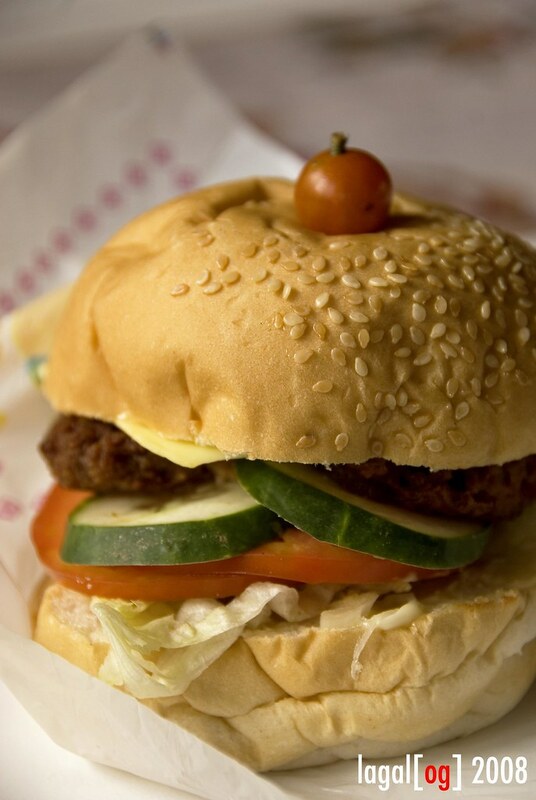 Here, we give a sampler of the many food offerings out there. Lagal[og] said: I never miss dropping by this place everytime I’m in Sagada. 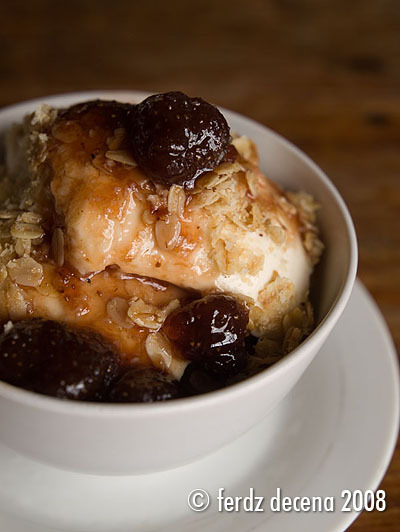 And I always eat the house specialty – the Homemade Yoghurt, everyday that I’m there. The texture of the yoghurt is extra thick and creamy. Mixed with hefty banana slices, and topped with strawberries and granola, it is very yummy and oh-so-healthy. 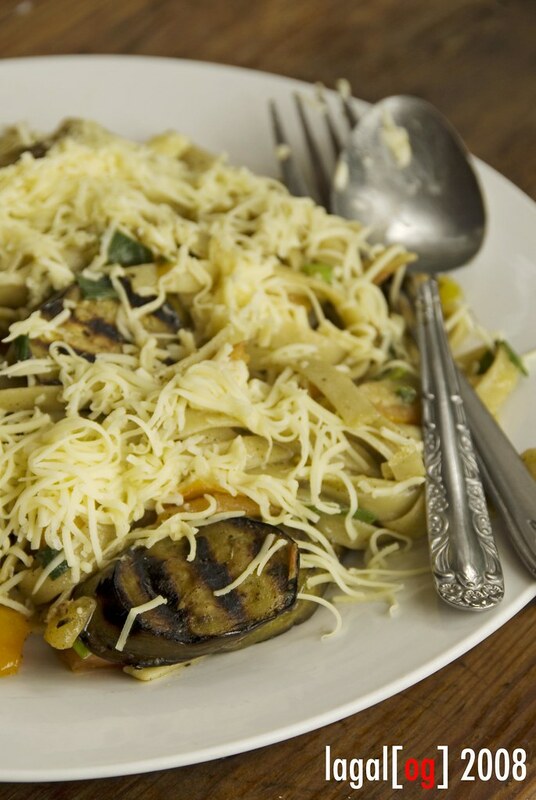 Their veggie rice dishes and pastas are also very delicious and filling. Excellent way to carb up for those long walks and tiring treks. Speaking of veggie rice meals, theirs are brimming with fresh vegetables, it seems there are more veggies than rice. I think Yoghurt House pioneered the idea of building a restaurant around its yoghurt, something that’s really amazing if you ask me. The prices are very reasonable, too. Ironwulf said: This place has somewhat been an institution. I remember Yoghurt House being there as long as Sagada has first been cited as a tourist destination more than 10 years ago. Foreigners and locals alike attest to the taste of this highland yoghurt which is a blend of local and foreign flavors. With the increasing popularity of yoghurt in the country, I think this is still one of the best. The place also serves pasta and crepes. One must-try is their Eggplant Pasta which I really enjoyed. I never thought that the sliced bits of roasted eggplant mixed with Basil would be so good. The place nay not be that big but the large collection of old photographs, hanging ceiling curtains and lamps, as well as collection of books create a distinct, homey and warm ambience. Lagal[og] said: St. Jo is one of my all-time favorites, especially at breakfast time. 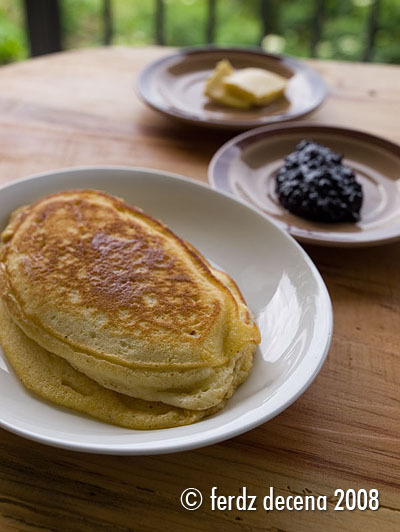 Their pancakes are very fluffy and deliciously smeared with butter and local blackberry jam. And talk about the coffee serving to wash the pancakes with – it’s the highland barako coffee variety served in individual kettle pots. It certainly incentivizes one to mull over breakfast and linger on. Ironwulf said: I haven’t tried much of the meals in St. Jo’s to attest to their goodness. The breakfast pancakes seem ordinary for me, taste-wise. Just well-made – thicker and fluffier. The blackberry jam is worth mentioning though. Their hot choco is only Milo. I was hoping for cocoa. 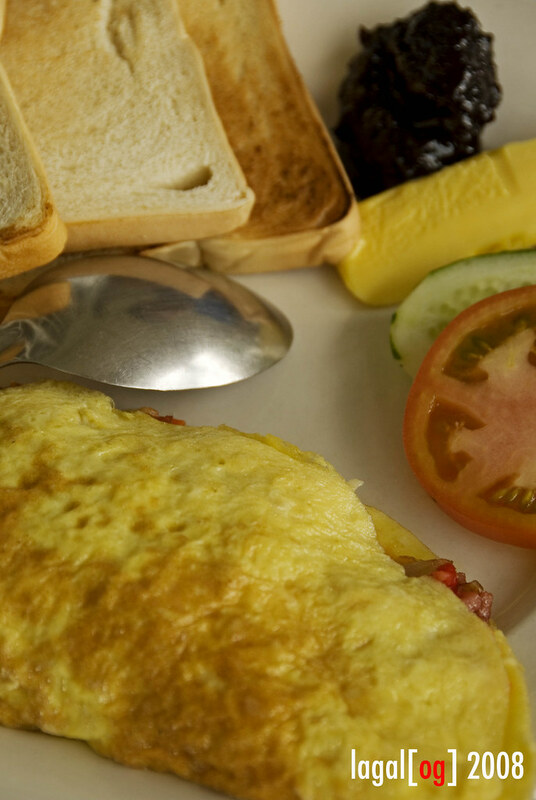 However, their big omelettes laden with hotdog and tocino bits are something to rave about. Another best thing about this place is where you eat. 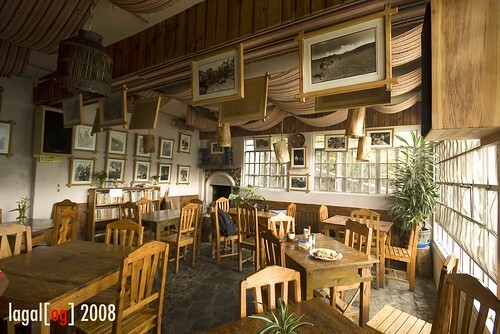 St. Jo’s has great views of Sagada and it adds drama to your breakfast. I heard their famous French chef serves amazing dinner buffets. I’ll try that next time. Lagal[og] said: Hmmm, must be the view that makes up for those shortcomings. Incidentally, they share the same chef with another tourist-favorite, The Log Cabin. I’ve always wanted to sample the buffet but heavens, I always find my budget a bit short whenever I’m in Sagada as the buffet costs upwards of Php400. But the breakfast which includes two sets of pancake, an order of the omelette, a coffee and serving of Milo costs only Php350. Lagal[og] said: Another favorite place that I think is under-rated. 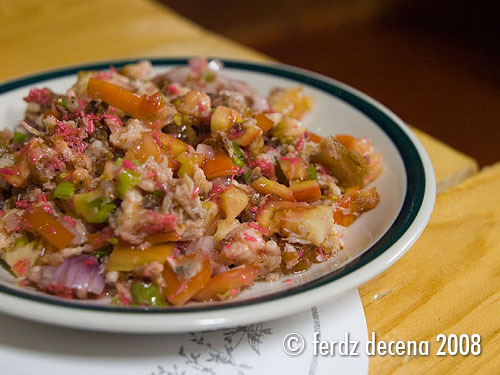 Last time we were there, we had this marvelous side dish of Chicharon with onions and tomatoes. I found it so good, I nearly forgot all about my main course order. Hurrying on our way home to Manila, the Masferre hamburgers we took with us on the bus were really juicy and chockful of vegetables – certainly light years away from the fastfood variety. Ironwulf said: I’ve eaten at Masferre’s several times before and always enjoyed their meals. I agree that the Chicharon with onions was so good. Their burgers, both the Ham and Egg and the Hamburger with Cheese, the ones we brought as our lunch on the road was surprisingly good despite being wrapped in an ordinary burger wrap. Now, I have more reason to visit Sagada. I am planning to go next year and I really hope my plans will push through. 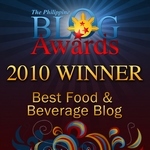 The food above seems great and much better than those serve in highly commercialized restos in Manila. I like the ambience of the yoghurt house. I’m sure the dishes are all good. I’m not much of a pancake fan, but I love omelettes. I am pretty sure that the veggie dishes out there are a sheer delight—from farm to table in no time–you cannot get any fresher than that. Hi Nina! That’s what we also want to feature here in this blog. Less of those commercialized establishments. And Sagada food is really good akin to those expensive restaurants in Manila. What a neat place! sarap ng foodee! I like the Yoghurt looks yummy talaga. Ok yun chicharon with onions and tomatoes, parang tokwat baboy ang dating, (though theres no tokwa). Thanks guys! I think I’ve eaten at every single restaurant and eatery after seven trips up there. 3. Yoghurt House – honestly, it’s only good during breakfast. I am not impressed by St Jo’s at all. As for yoghurt house, I enjoy their pastas as well. ^ yup, seven. Six since 2006. hehe.